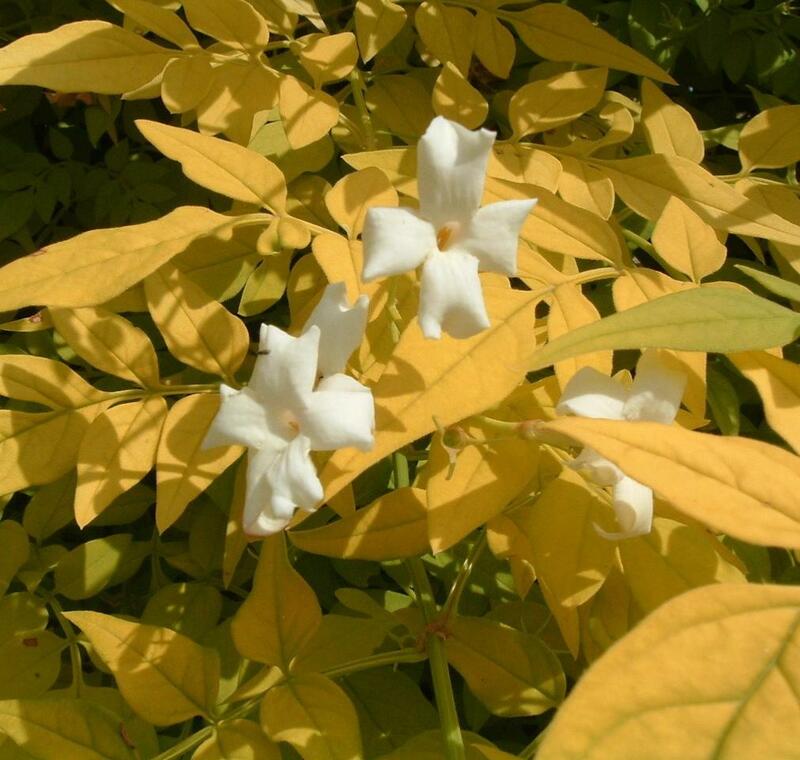 Once described as the "best yellow leaved climber on the market”, Jasminum officinale 'Fiona Sunrise', the Sunshine Jasmine flowers from May through to September with its heavenly scented white flowers. 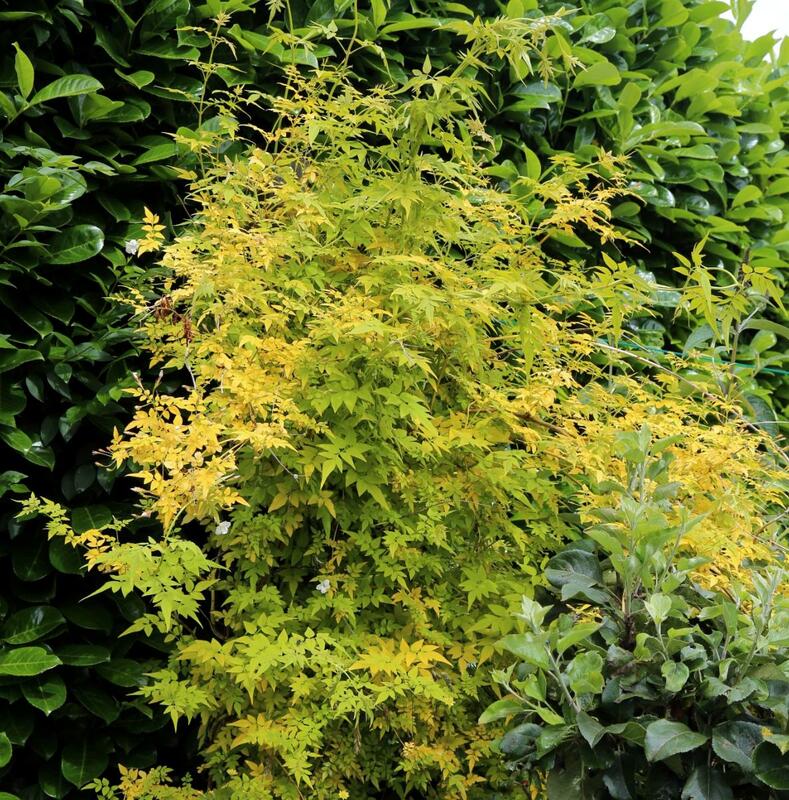 The yellow foliage starts in the spring with new growth tinged with red, summer brings the flowers and bright lush yellow foliage turning in autumn to the most glorious gold colour which lasts well into winter if mild weather permits. An excellent plant for growing on fences, arches and trellises. Grow in full sun or part shade in any good garden soil. Height and spread in 10 years 3m x 3m. This variety was discovered at our nurseries in 1989 in a batch of seedlings. 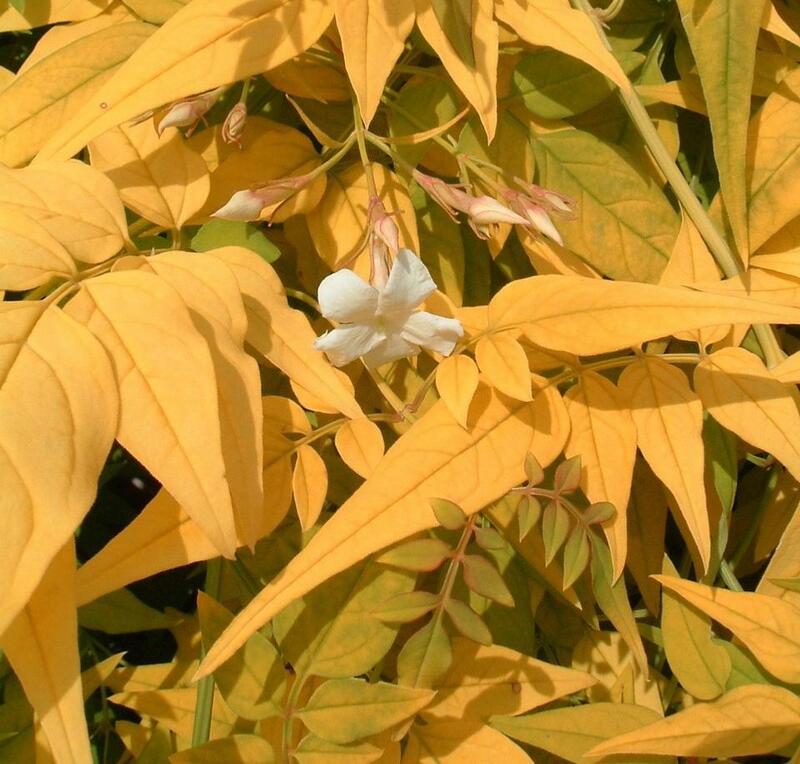 It is derived from a golden seedling rather than a sported branch and therefore has no possibility of reversion to its typical state. 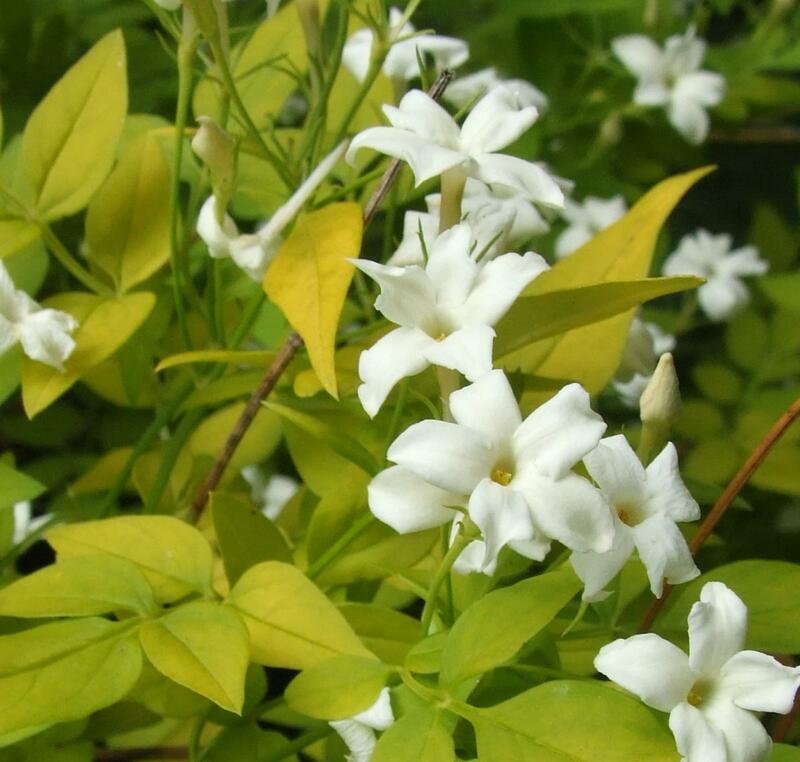 Both elements of the name describe the Jasmine to some extent. Fiona which is largely a Scottish name, can be traced back to the Celts. 'Fionn' was a warrior according to Celtic mythology and the name means 'Bright One' or 'Fair One'.